Tom Baker (Paul Magrs), Malcolm Clarke, Tristram Cary, Daphne oram, Brian Hodgson and more. From 1958 until 1998 the BBC Radiophonic Workshop was one of the sound effects units within the BBC producing a vast array of music including some (one in particular) of the most recognisable theme tunes on UK television. 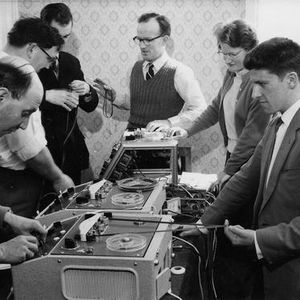 The resident composers, electronics pioneers and inveterate tinkerers created music that defined the ears of several generations of musicians within the UK and beyond. Quiet World (www.quietworld.co.uk) is a label based in Wales that specialises in non-commercial music of all forms with releases by Philip Corner, Ian Holloway, Darren Tate, Brian Lavelle, Colin Andrew Sheffield, Susan Matthews, Matthew Shaw and more.